Please contact the owner directly @ 404-630-1682 or glen(at)sportsmensoutreach(dot)org. 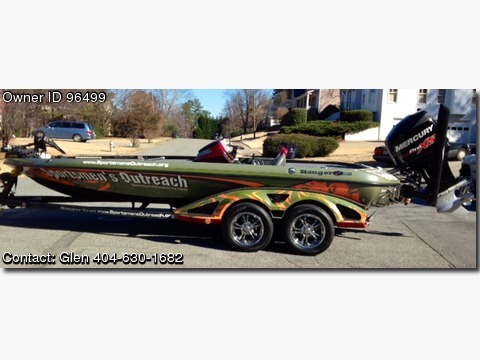 CALL FOR PRICE.Boat Color is Ranger Cup, the boat will be available June 29th, 2014. Deposit required to hold the boat.